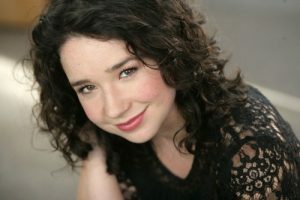 Sarah Steele is an American actress. She is best known for her portrayal of Marissa Gold on the CBS legal drama The Good Wife and its spinoff series The Good Fight. She played Hannah Cohen in the medical comedy-drama series Nurse Jackie. Her film appearances include The To-Do List, Mr. Gibb, Please Give, Adult Beginners, Speech & Debate, Permission and Ask for Jane. Born Sarah Jane Steele on September 16, 1988 in Pittsburgh, Pennsylvania, USA, to Katherine A. High and George Steele, she has one sister named Katherine. She did her schooling from from The Episcopal Academy, a private school in southeast Pennsylvania. She attended Columbia University and earned her Bachelor’s degree in comparative literature in 2011. She made her film debut as Bernice in the 2004 film Spanglish. *She was born in Pittsburgh, Pennsylvania on September 16, 1988. *She is a 2011 graduate of Columbia University. *She was cast Marissa Gold in two episodes of The Good Wife and eight episodes of The Good Fight. *She was cast from over 2,000 young actresses for her role in Spanglish (2004).